JOIN THE ADVENTURE. GO ELECTRIC! 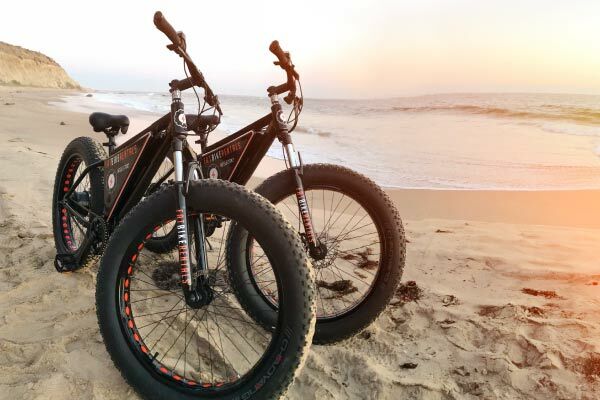 Stand out from the crowd with our Premium Electric Fat Bikes. Turn heads with our five-inch wide all-terrain tires that will provide you with stability, comfort, and confidence. 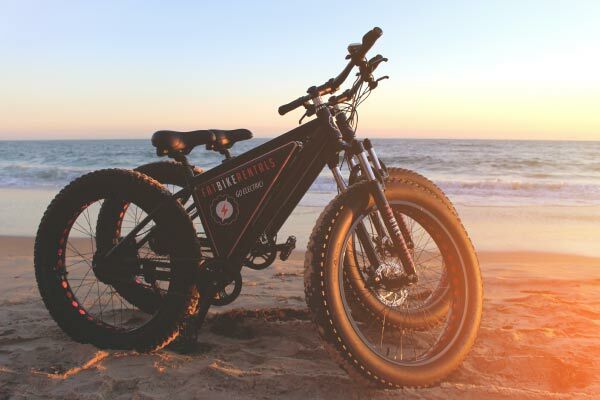 Pass up traditional beach cruisers by using the throttle power of up to 20 mph with a range of 15-30 miles. Whether you’re relaxing on vacation, cruising the boardwalk with friends, getting a workout or exploring our spectacular southern California coastline, you control how fast you roll. Come travel with us and embrace the beautiful scenery on the Pacific Coast Highway. Choose your route spending the day sightseeing from Newport Pier to Crystal Cove or a quick getaway from Huntington Beach to Sunset Beach. 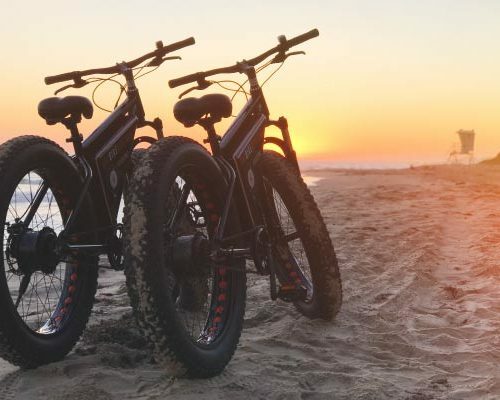 Discover premier travel destinations like Balboa Island and secret surf spots like The Wedge with the local private guide. Please contact us for more information on group rates, eLite Tours, team building events and customized corporate packages. 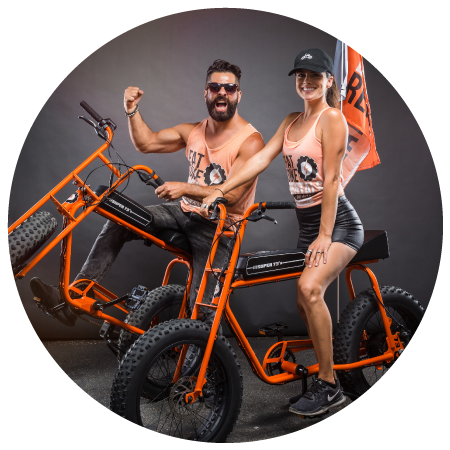 Fat Bike Rentals was birthed by newlyweds Hashemi and Liz Dee on their honeymoon and is currently their first baby. Raised in Southern California, these newlyweds recently moved to the beautiful and world renowned Surf City USA, Huntington Beach, CA. Ever since he could remember Hashemi had a passion for bike riding, from BMX, to MTB, road bikes, motorcycles, and now electric bicycles. 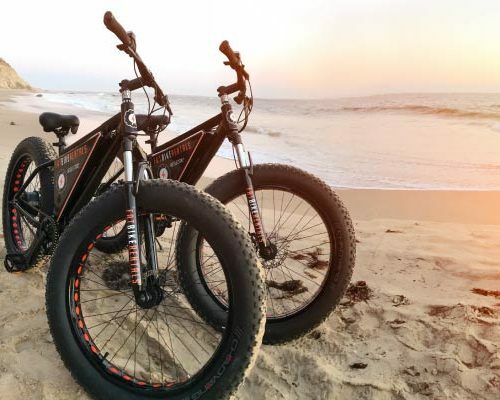 After marrying the woman of his dreams, Hashemi wanted to embark on unforgettable thrill rides together and what better way to do this than on electric fat bikes. On one of their first electric rides together, as they embraced the breathtaking creation that surrounded them, a desire sparked to share this experience with others. 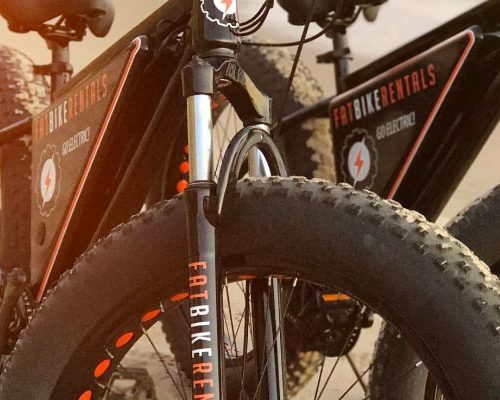 Since Liz Dee also loves being active, out in nature and going on adventures, it was natural to combine their passions together in developing Fat Bike Rentals. 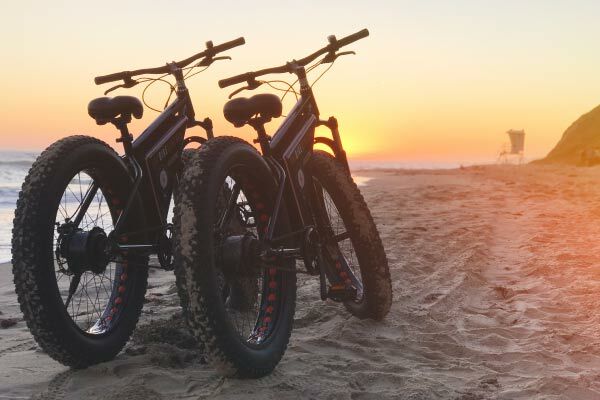 As the vision came to life, the two love birds created a fleet of electric fat bikes that will allow you to also experience exciting and memorable rides that will keep you exhilarated and full of energy. 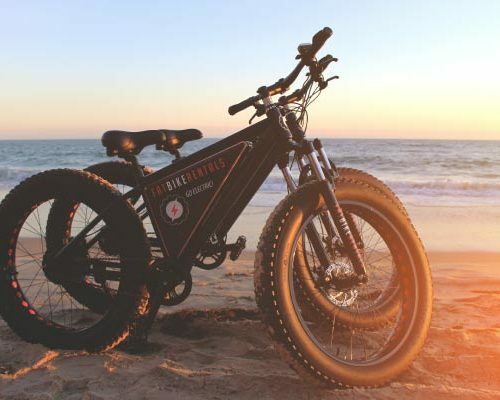 Take a cruise down the spectacular Southern California coastline on a custom electric fat bike at your own pace while covering more ground than a standard bicycle. 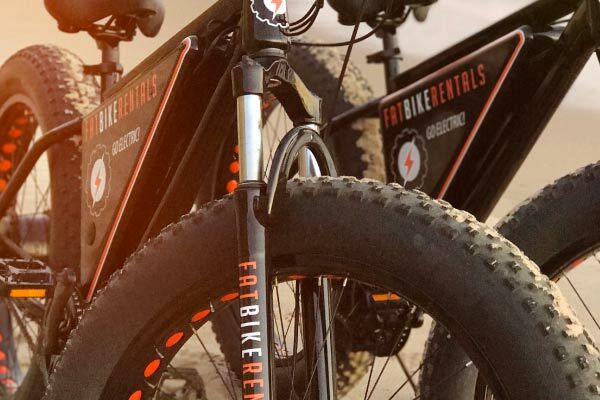 With Fat Bike Rentals, you control how fast you roll. JOIN THE ADVENTURE! Book your bikes now and GO ELECTRIC!